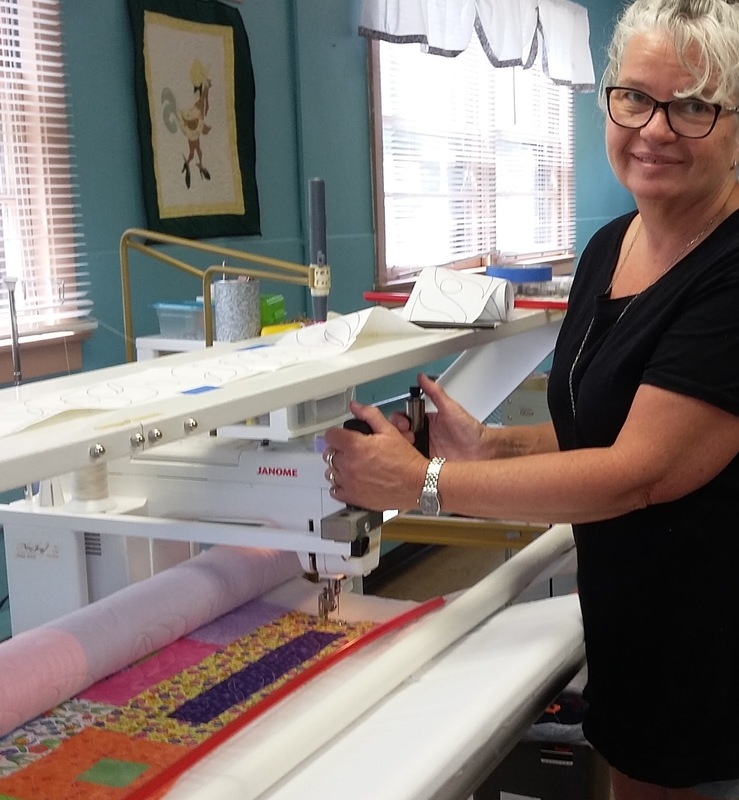 I had the amazing opportunity to use a longarm machine at our local senior center. 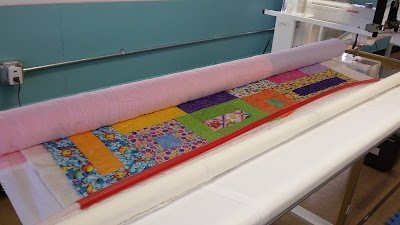 I quilted one of my charity quilts on the machine using a pantograph. The instructor gave me some good advice: start with a simple pattern pantograph and quilt on a quilt where a mistake or two won't matter. I followed her instructions and the results were pretty good for a first try. It took a little getting used to. Since I free-motion quilt many of my projects on my home machine, the whole concept of standing over the quilt and working the design with the handles was quite different but getting to use the pantograph made it a lot easier to manage. I can't wait to practice some more on this great machine.